Series on how London has changed since Charles Booth's social conditions survey in 1886. Camberwell Grove has come full circle to middle-class affluence again. Booth colour-coded each street, from yellow for the 'servant keeping classes', down to black for the 'vicious and semi-criminal'. With the aid of maps the series explores why certain streets have been transformed from desperate slums to become some of the most desirable and valuable property in the UK, whilst others have barely changed. Today, Camberwell Grove is an elegant oddity - a broad, leafy street of fine Georgian houses set in the seething inner city. The street has come full circle, from middle-class prosperity to tight-knit working-class community and back to middle-class affluence again. 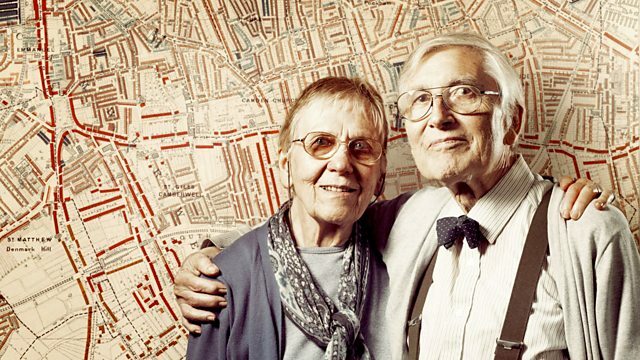 Through the lively, often passionate accounts of residents past and present the film tells the story of the changing faces of this remarkable street and the people who have lived in and loved its beautiful houses. These stories also reveal how the fate of the Grove was intimately bound up with the monstrous growth of the Victorian city of London and the birth of the modern conservation movement.